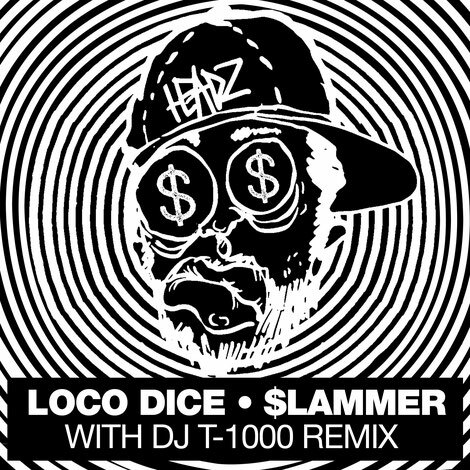 Desolat’s Loco Dice joins the roster of Martinez Brothers Cuttin’ Headz label this month with ‘$lammer’, backed with a remix from Detroit’s DJ T-1000. Düsseldorf’s Loco Dice is possibly been one of the most respected figures in contemporary electronic music with releases over the years on labels like Cocoon, Cadenza, Ovum and his own Desolat as well as a touring schedule taking him across the globe each year. Here, Dice offers up his new single courtesy of Cuttin’ Headz, a platform the Martinez Brothers use to deliver high octane, dancefloor focused house and techno. The original mix of title track ‘$lammer’ leads with spiralling brass like bass tones, flute licks, shuffled shakers and resonant synth hooks running alongside a bumpy bassline and an amalgamation of heady, processed vocal lines. Following is Detroit’s DJ T-1000 stepping up on remix duties, stripping back the aesthetic of the original to lay focus on robust rhythms and various vocal refrains from the original whilst chugging bass and tension building atmospherics gradually unfold throughout.